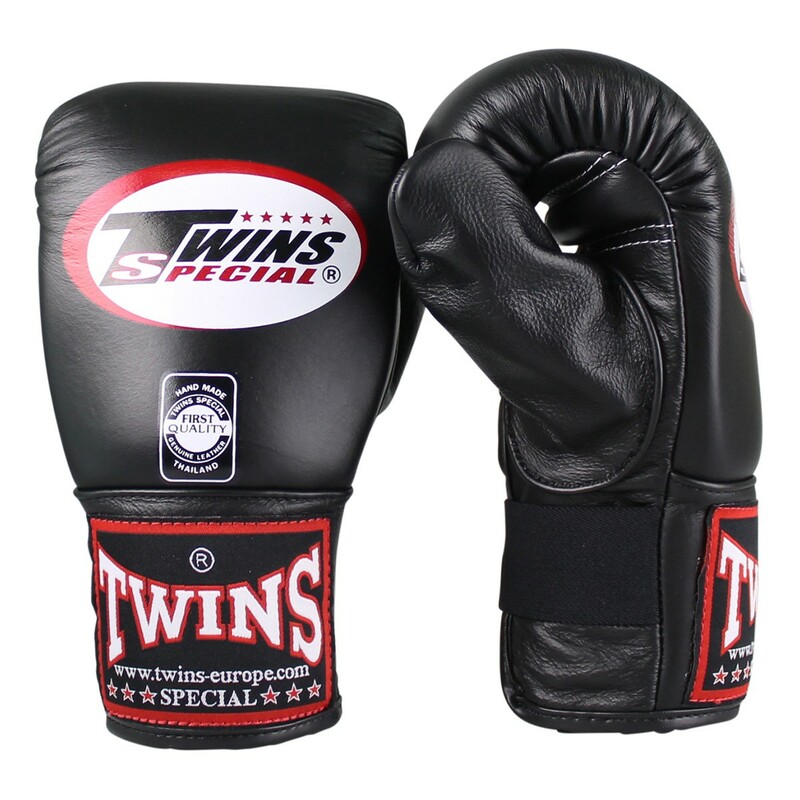 Twins traditional sandbag gloves, with full thumb design and elasticated wrist for comfort. 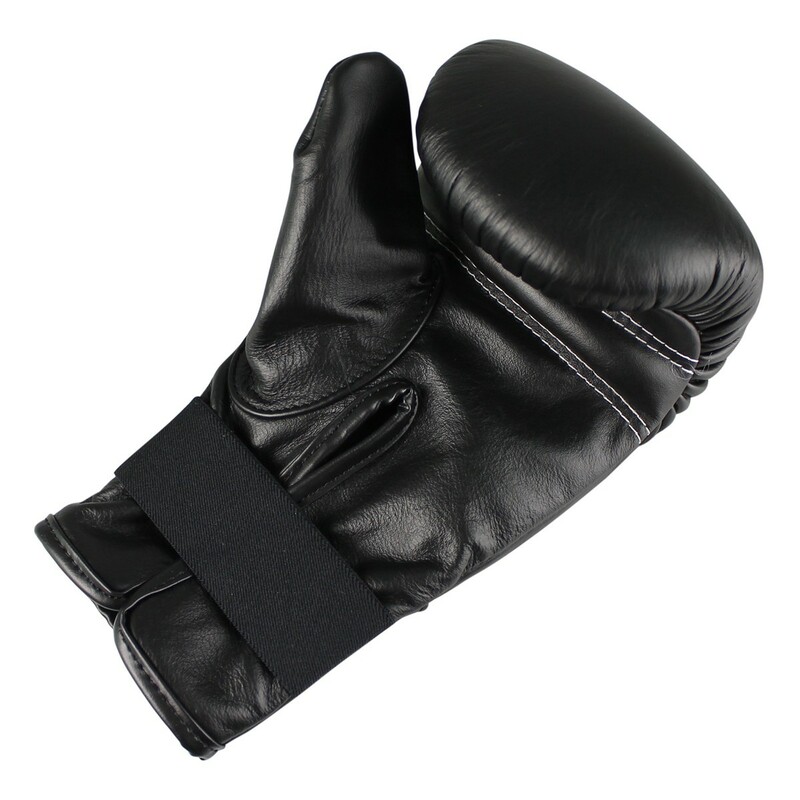 High-quality leather, lace-finished. 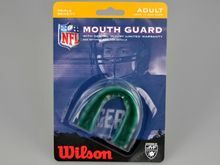 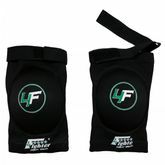 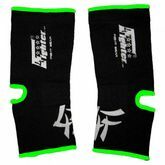 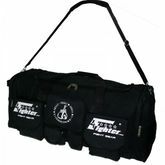 Lightweight padding for added speed on the sandbag or on the cushions, while providing good protection for your hands. 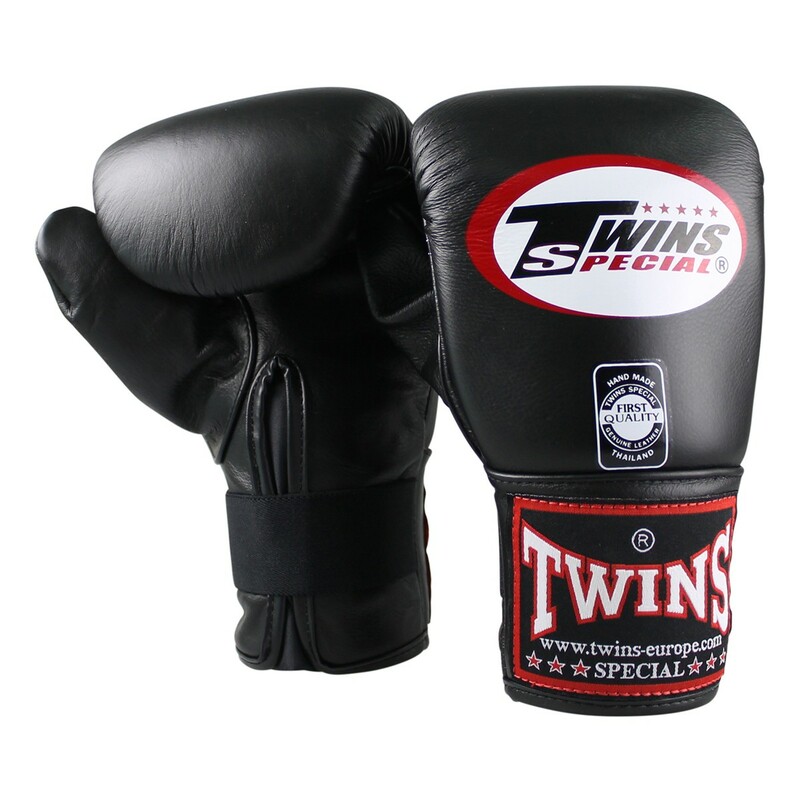 TWINS has been the original equipment manufacturer of the professional Muay Thai in Thailand for 60 years. 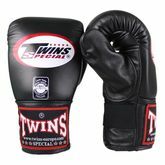 Recognized by the IMTF and WAKO as a global brand. 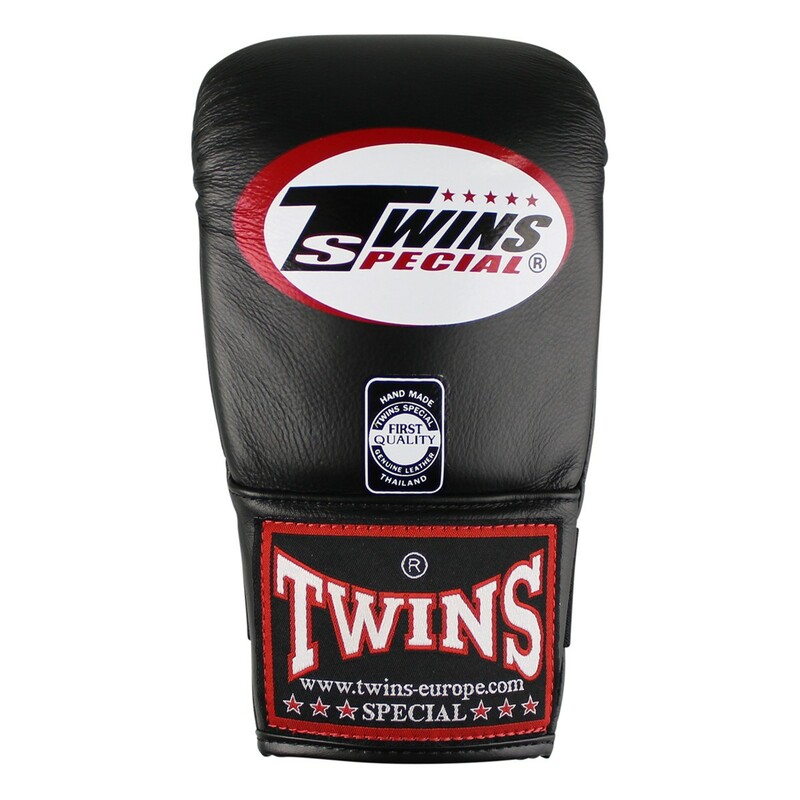 Twins is known worldwide for its impeccable workmanship and top quality.